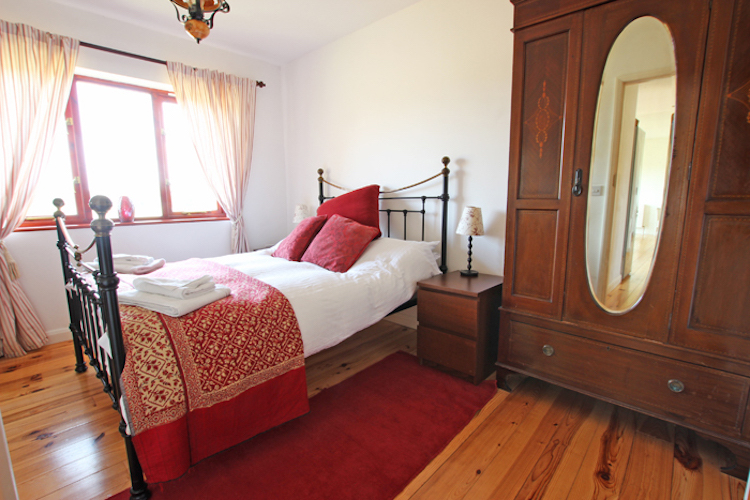 Located at a prime location in a beautiful courtyard with converted Oast houses, barns and a Manor, Kuschels Cottage offers excellent accommodation over two floors. 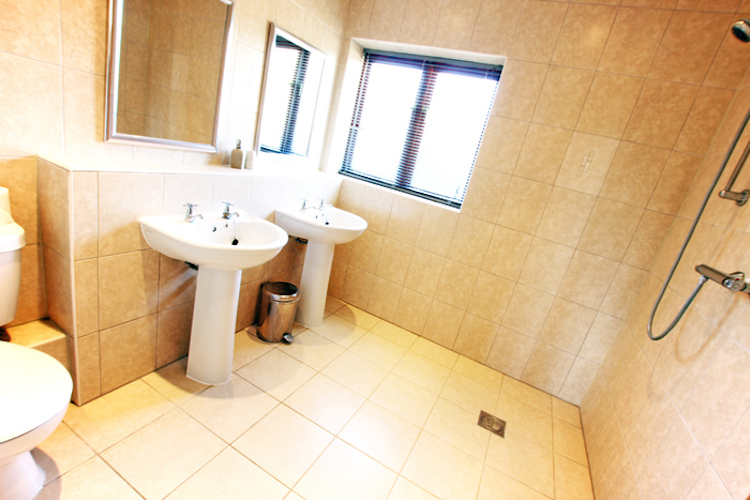 The groundfloor has its own bedroom and luxury wetroom. 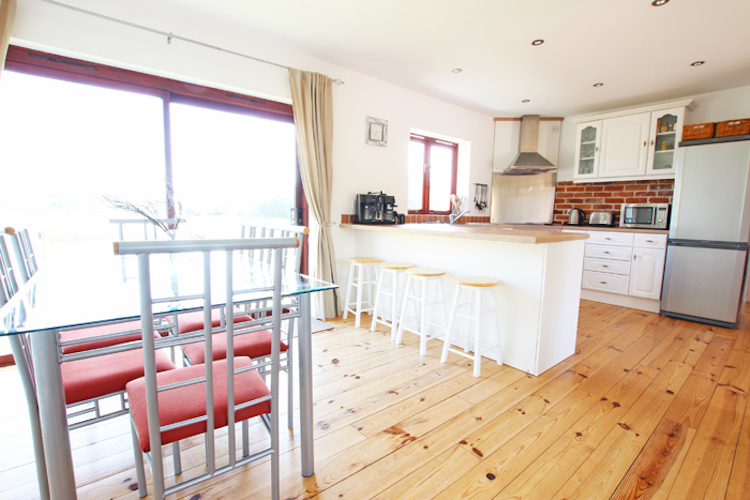 The cottage includes oil fired central-heating and is available all year round. The large patio doors view directly out across fields to woodland and there are often horses or sheep in the adjacent fields. There are some pleasant walks in either direction. 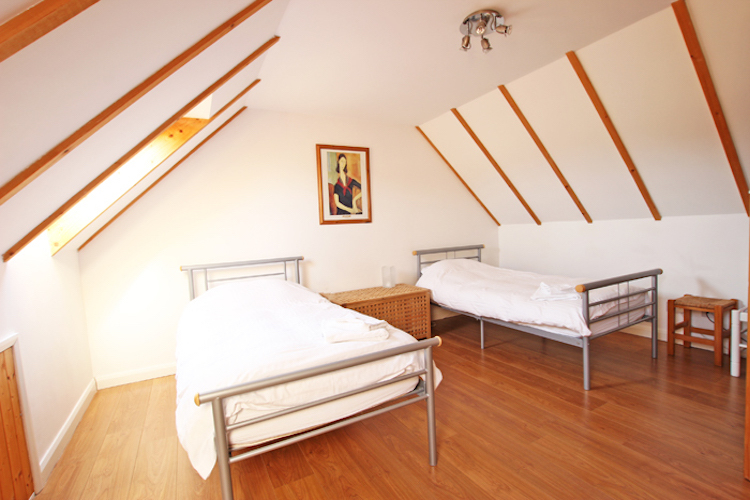 Dont be fooled by the pictures!… The 2 upstairs bedrooms are 4.5m x 4.3m each, plus a small office area and bathroom. 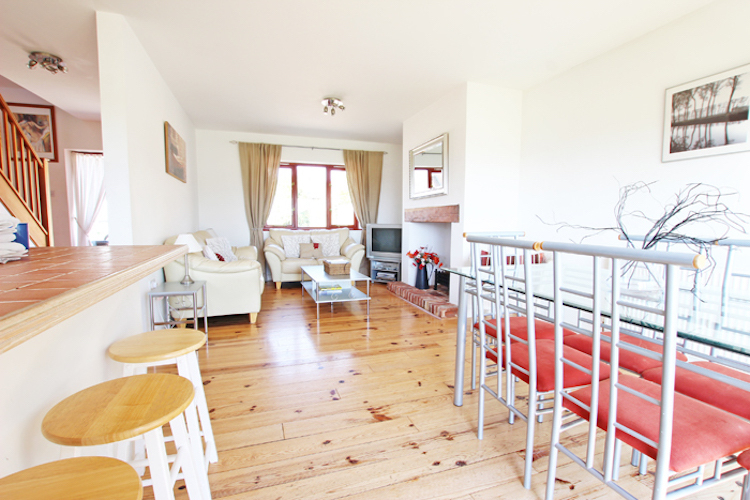 Flatscreen digital TVs with Freeview and DVD facility are in each bedroom. Free Wi-Fi broadband throughout. The open-plan entrance hall, kitchen, lounge and dining area offers a contemporary, light and spacious feel with a touch of the old. 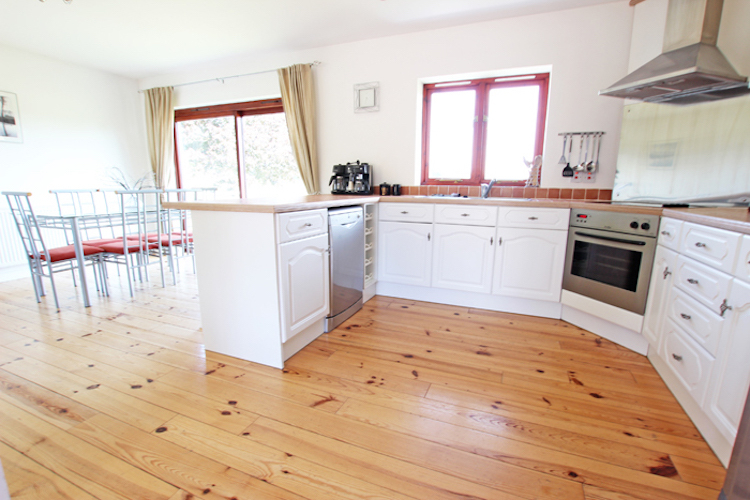 The kitchen is fully-equipped with all the facilities you would expect. 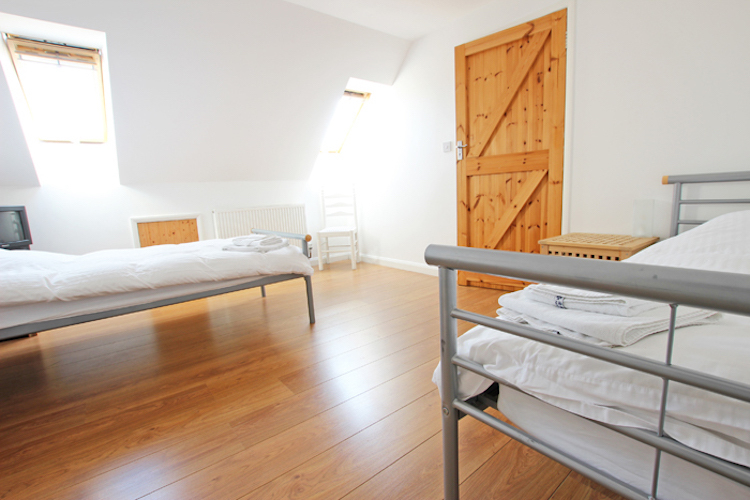 A downstairs double bedroom has views out to the fields. 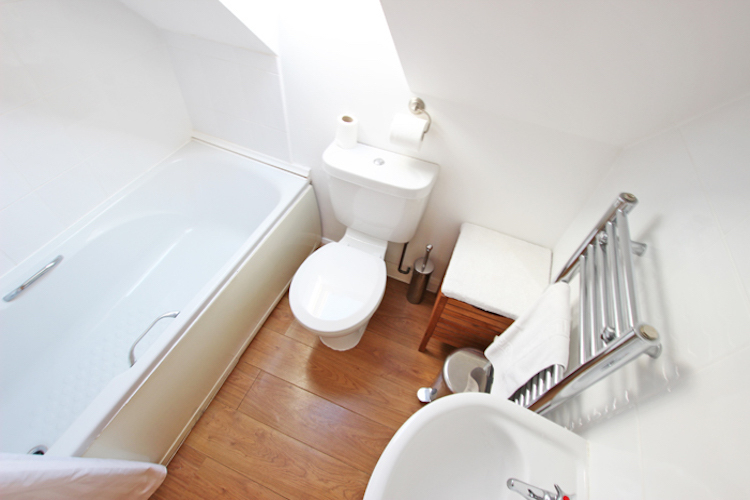 A wet-room with shower, toilet and twin basins is just adjacent to this bedroom. There is a separate utility/store room with washing machine and dryer. 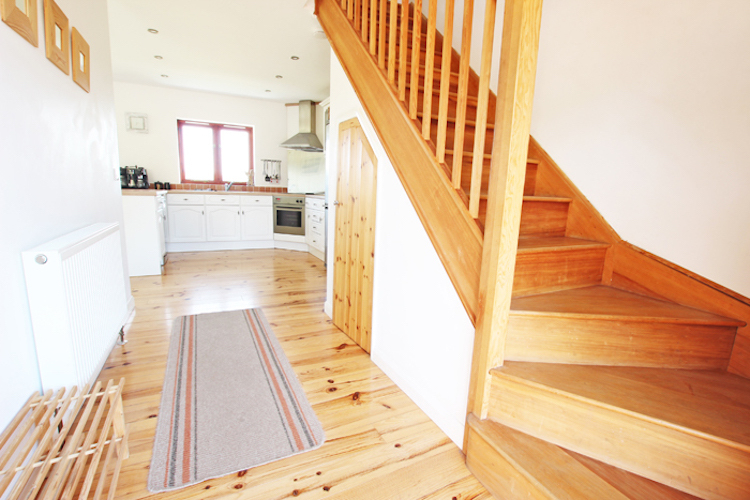 Upstairs there are 2 sizeable twin bedrooms with views across the fields and an additional bathroom including bath with shower over, toilet and basin. 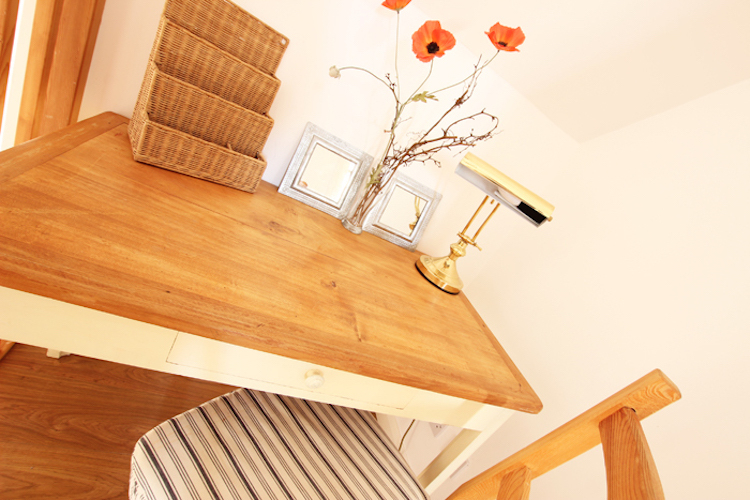 A small office desk on the landing area has a telephone point for those needing to work, please ask for connection details. 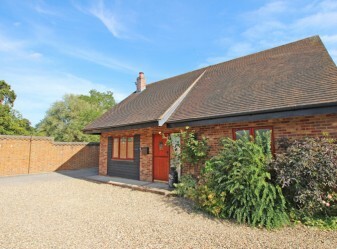 Kuschels Cottage is situated in the main Court at Brissenden, just 10 minutes to the east of Tenterden and 10 to the West of Ashford. 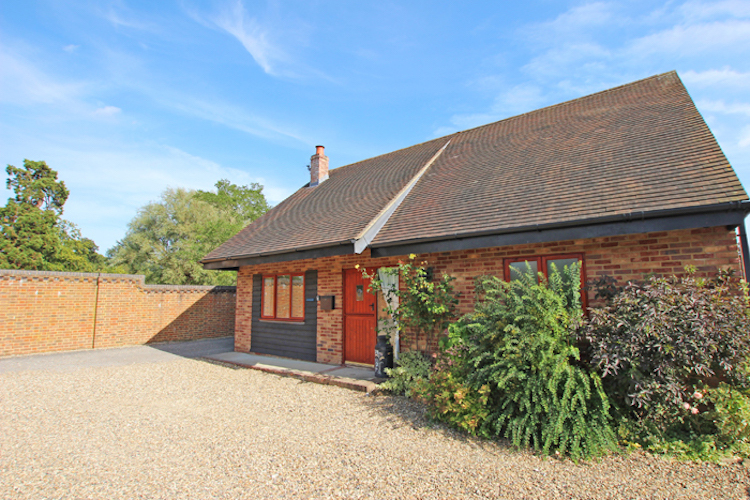 You are right in the heart of Kent within easy reach to many of the counties numerous attractions. Ashford International station (10 minutes by car) can take you to London in just over an hour on the High Speed trains and the seaside is only 20 minutes by car to one of Kent’s top beaches, Camber Sands. 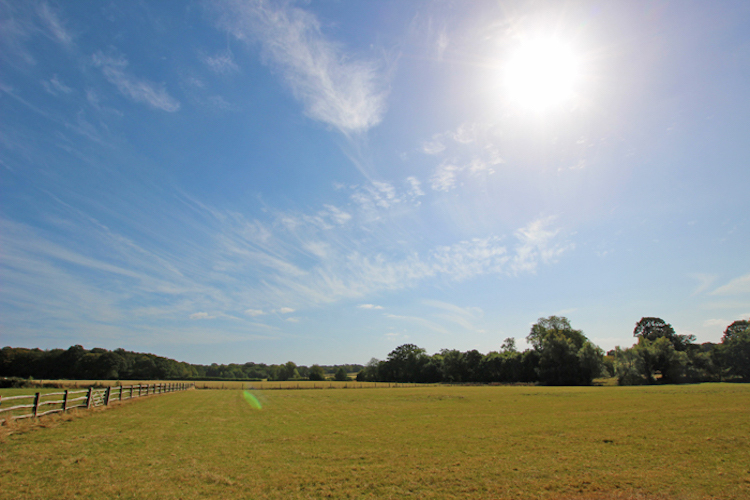 Visit the many stunning villages that lay in this Wealden part of Kent, one being Woodchurch – just 5 minutes away – well worth a visit with its 2 traditional pubs, local butchery and picturesque village green.